Vice President M. Venkaiah Naidu on Friday met United Nations Educational, Scientific and Cultural Organization (UNESCO) Director-General Audrey Azoulay in Paris and reaffirmed India’s commitment for 2030 agenda for Sustainable Development, most importantly in the field of education. 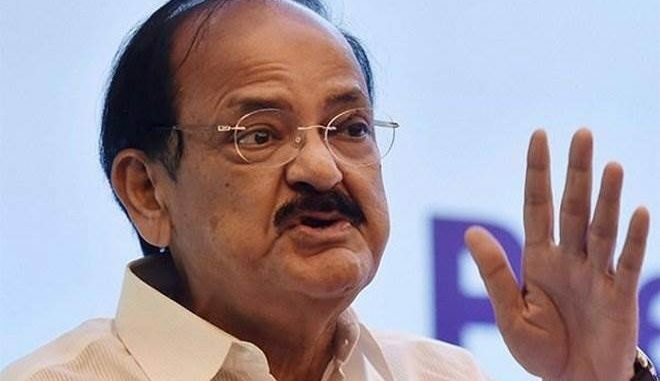 New Delhi: Vice President M. Venkaiah Naidu on Friday met United Nations Educational, Scientific and Cultural Organization (UNESCO) Director-General Audrey Azoulay in Paris and reaffirmed India’s commitment for 2030 agenda for Sustainable Development, most importantly in the field of education. The Vice President complimented UNESCO for its renewed focus in the fields of education and culture and said that the India education system has benefitted a lot from UNESCO’s capacities, in the early years after the country’s independence.